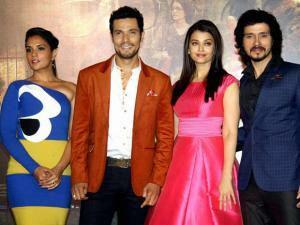 Actress Aishwarya Rai Bachchan during the trailer launch of her upcoming film ‘Sarbjit’ in Mumbai. 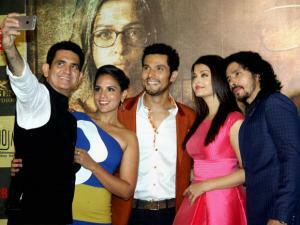 Director Omung Kumar with actors Richa Chadda, Randeep Hooda, Aishwarya Rai Bachchan and Darshan Kumaar during the trailer launch of their upcoming film ‘Sarbjit’ in Mumbai. Actors Richa Chadda, Randeep Hooda, Aishwarya Rai Bachchan and Darshan Kumaar during the trailer launch of their upcoming film ‘Sarbjit’ in Mumbai.